The Kingdom of Norway is a constitutional monarchy with over 148,000 square mile area and a small population of only 5 million. 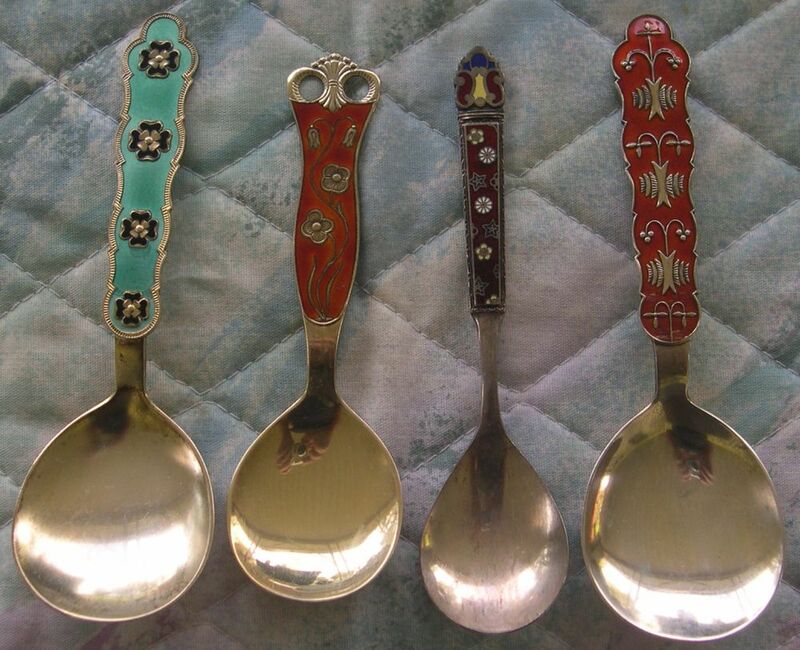 However, it was a popular tourist destination during the season and also a prolific maker of spoons. 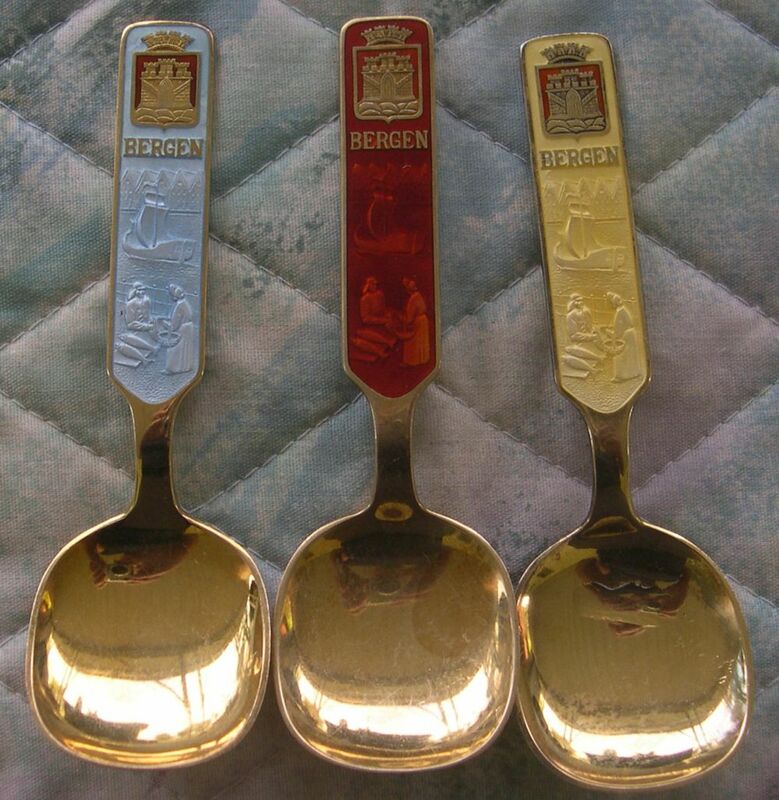 These pretty Bergen spoons are available in a range of colors. I suspect that they were sold in sets. 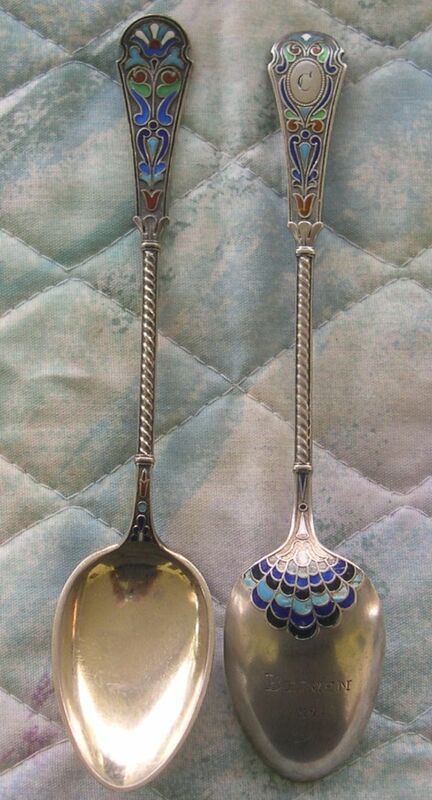 Two beautifully enameled spoons by David Anderson. 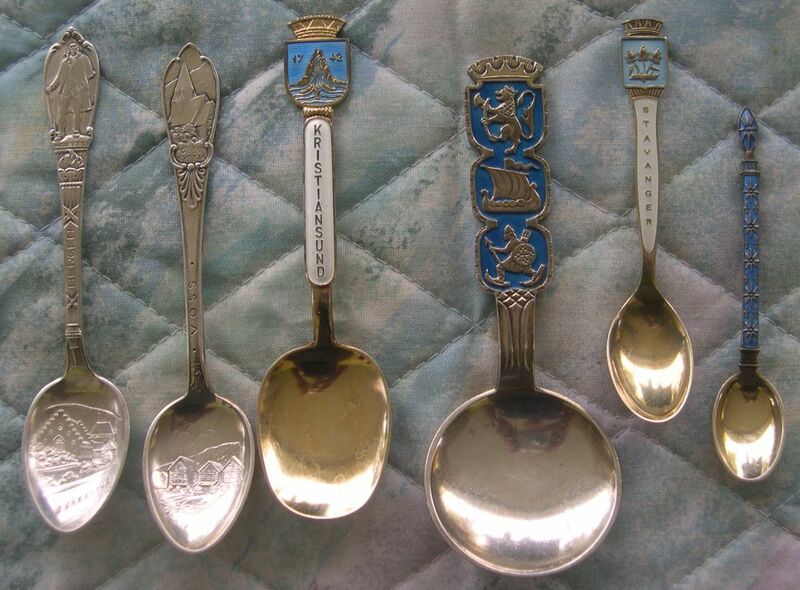 but otherwise these two spoons are the same. 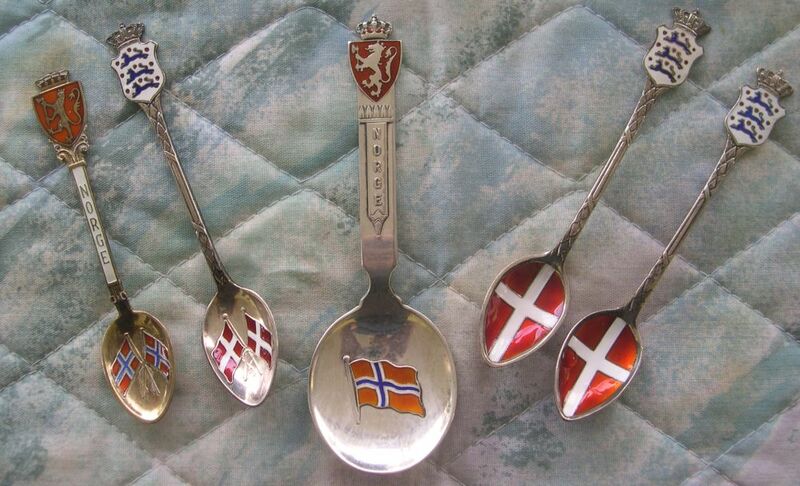 This very well designed spoon from Norway features a naked woman holding aloft a baby. The name of this statue is “Mor og barn”, and it was made by the Norwegian sculptor and artist Arne Durban (1912-1994).